Miss Emily by Nuala O’Connor is told from two points of view, including that of poet Emily Dickinson, and the reader is given a glimpse into the secluded life of the poet through her own eyes as well as those of the new maid and Irish immigrant, Ada Concannon. Concannon has had wanderlust for some time, and her daydreams have pushed her out of favor with the family her siblings and mother work for, pushing her into a new life in America. Although she will miss her sisters and family very much, she’s eager to see the world beyond her home. The Dickinson’s are well respected in Amherst, though Emily’s recent withdrawal from society has become part of the town’s gossip. As a maid in the Dickinson household, she is privy to the inner workings of the family but is also expected to maintain its secrets. O’Connor has created a believable Emily in terms of action and manner, and her portrayal of immigrants, particularly the Irish, rings true. O’Connor adopts Dickinson’s style of economical word use to tell her story and it works really well. These foil characters work well together, as a mutual respect blossoms and friendship emerges between these women. Readers will be thoroughly taken in by this novel about Dickinson and the Irish immigrant’s life, and O’Connor provides a real motivating factor for Emily’s seclusion from the outside world. As Ada’s life is threatened, Emily is forced to act and in so doing, she must leave the home in which she finds solace. Miss Emily by Nuala O’Connor is stunning and one that should not be missed. A definite best book of the year. Born in Dublin, Ireland, in 1970, Nuala O’Connor is a fiction writer and poet. Writing as Nuala Ní Chonchúir she has published two novels, four collections of short fiction, a chapbook of flash fiction and three full poetry collections – one in an anthology. 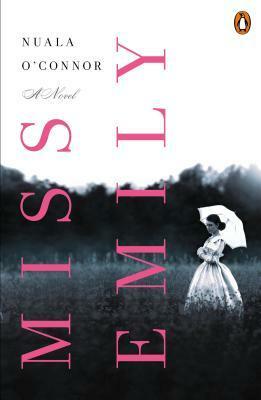 Nuala’s third novel, Miss Emily will be published in 2015. Nuala holds a BA in Irish from Trinity College Dublin and a Masters in Translation Studies (Irish/English) from Dublin City University. She has worked as an arts administrator in theatre and in a writers’ centre; as a translator, as a bookseller and also in a university library. Nuala teaches occasional creative writing courses. For the last four years she has been fiction mentor to third year students on the BA in Writing at NUI Galway. She lives in County Galway with her husband and three children. 1. 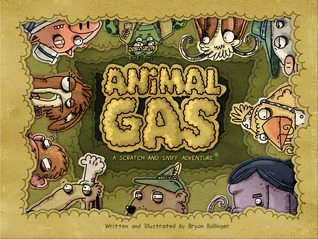 Animal Gas by Bryan Ballinger for review from Sterling Children’s Books, and it came with a whoopee cushion. Every kid knows that nothing’s funnier than a fart joke. And it’s also a universal truth (and mysterious fact) that people don’t mind the smell of their own farts. Animal Gas explores this hilarious concept through a parade of animals who describe why they don’t think their own farts stink—against the truth about how they REALLY smell! 2. Stencil Craft by Margaret Peot for a TLC Book Tour in July. The art and craft world is in love with the versatility, creativity and endless possibilities stencils provide. 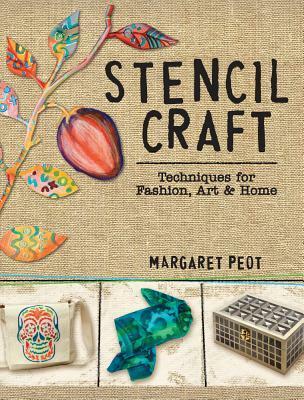 And right here is your all-access pass to learn how to create and use all types of stencils–from carefully cut Mylar to lace, leaves and other found objects. Using original, and even pre-made designs, you can create unique pillowcases, tote bags, business cards, portraits and more. 3. Urban Art Berlin: Version 2.0 by Kai Jakob, a gift from Emma Eden Ramos. A collection of Berlin street art photographs by the freelance photographer Kai Jakob. 4. Miss Emily by Nuala O’Connor for review from the publisher in July. Eighteen-year-old Ada Concannon has just been hired by the respected but eccentric Dickinson family of Amherst, Massachusetts. Despite their difference in age and the upstairs-downstairs divide, Ada strikes up a deep friendship with Miss Emily, the gifted elder daughter living a spinster’s life at home. But Emily’s passion for words begins to dominate her life. She will wear only white and avoids the world outside the Dickinson homestead. When Ada’s safety and reputation are threatened, however, Emily must face down her own demons in order to help her friend, with shocking consequences.